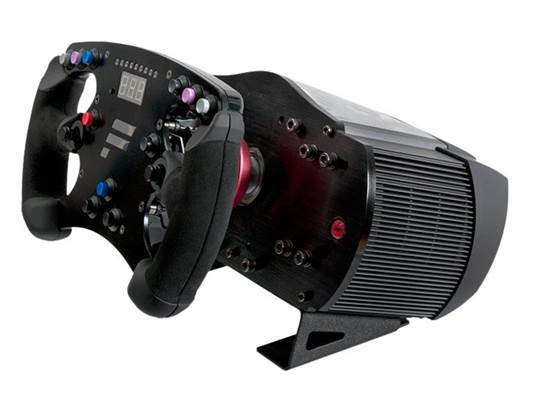 Fanatec is a curious German maker of enthusiast-level sim racing gear. What’s difficult to grasp, and is often frustrating, is that the community clamors for its gear, yet it continually appears to be unready for the big time. Production quality is sometimes variable, and the marketing, customer service, product development and production management roles appear to be conducted by a single person, whose virtually secret personal blog is the sole source of product update and driver release information. Last year the much-heralded launch of the gear we’re reviewing today brought the site down. Down dead, for two full weeks. 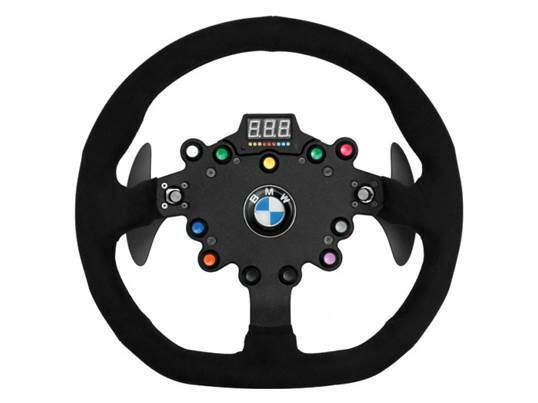 Now Fanatec has an Australian online store where you can buy the ClubSport. Or could have, had it bot sold out within one week, leading to speculation about just how many units were brought in. new stock is expected by the time you read this. 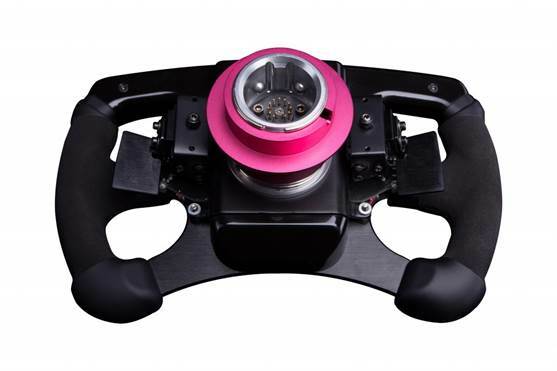 Yet Fanatec’s products are indisputably, irrefutably and stunningly the most beautiful and perfect sim gear you can buy, outside the truly rarefied esoteric handmade stuff. The new ClubSport is a system, the heart of which is the $589 base, to which is attached either the Formula rim ($239) or the BMW M3 GT2 rim ($329). The rims attach using the same quick-release mechanism used in professional motorsport. Fanatec has a truly impressive video on YouTube showing a touring car drive pitting after some hot laps, detaching the Clubsport Wheel he had in his real race car, plugging it into a ClubSport base in a tent beside the track, then driving off in a PC sim which was paused. The future promises more rims, such as, potentially, a classic wooden wheel and a licensed F1 wheel. Despite its hiccups, Fanatec’s engagement with the community admirably outshines all competitors and the future rims will be what the loudest cries demand. Compared to the best offerings from Logitech and Thrustmaster, the only competitors in this space, the ClubSport is from another galaxy. You’ll have trouble finding a plastic component anywhere apart from the buttons and the Perspex window proudly showing off the internals, Hot Box style. You’ll need two hands and a bend-at-the-knees posture to lift it. It’s exceptionally well made, and that strikes you the moment you set eyes upon its functional beauty. It’s a thoughtfully designed product. The base has several drill holes and bolt-points at the front for future expansion and modding, and the rear has data ports to support additional peripherals and telemetry displays. Inside is the belt drive for Force Feedback, and an unusually large and powerful motor. Lesser wheels use a cogs and gears system which is notchy, ierky and feels fake. The ClubSport is smooth, pinpoint precise, and immensely powerful. Turn up the fully adjustable Force Feedback settings to max and it will effortlessly wrench itself out of the strongest hands as it turns. Tame its mighty power via the multitude of adjustments in real-time, and you’ll have profiles for your sims (up to five can be stored on the wheel) that feel wonderfully realistic. Only this wheel is capable of bringing out the fine detail sim developers build into their games. There are effects, bumps – even small cracks in the road – which all went unfelt before using the ClubSport. 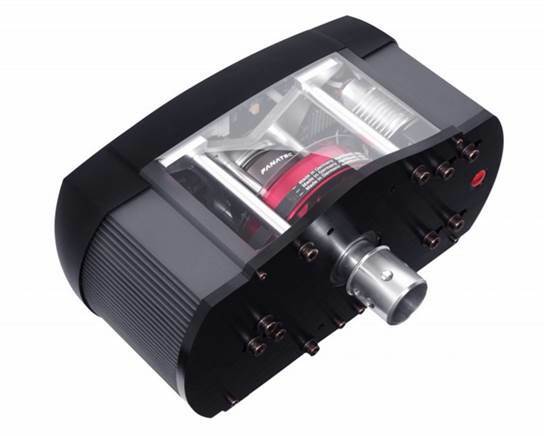 The belt mechanism also allows super-precise control. What was, before, a degree of mushy guesswork, is now the ability to place the car exactly where you want it on the track and know when traction is slipping away. It’s a scalpel – the others are chisels. The rims are superb, and complete the experience. The button and shifter movement is quality stuff; you won’t ever miss a gear again. Both rims are exquisitely made from aluminum with Alcantara covers. They are clearly not toys, and while the base does its mechanical magic in the background, the trims impact a fabulous sense of professional racing. Yes, it’s expensive, but you get what you pay for.